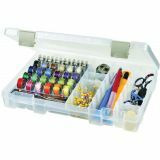 ArtBin Sew-Lutions Bobbin & Supply Box - ARTBIN-Sew-lutions Bobbin & Supply Box. 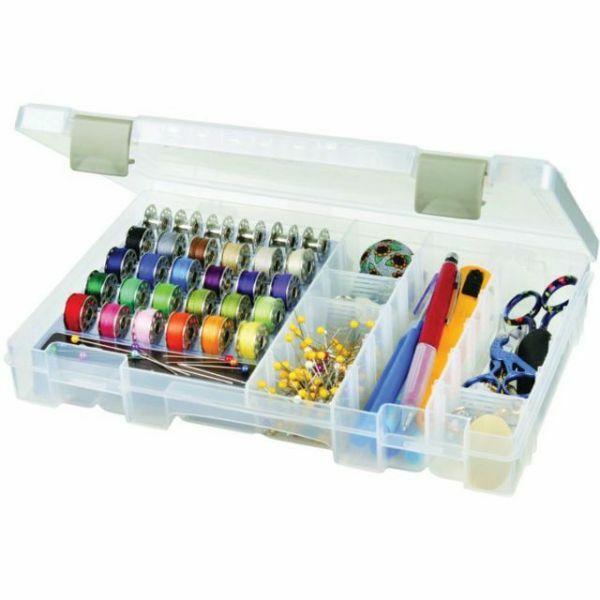 This specialty storage box features four compartments with removable dividers for small supplies, a removable bobbin trays that holds thirty plastic and metal bobbins with a magnetic strip for pins and needles, and a molded plastic construction with secure clasps. Box measures 1-5/8x10-7/8x7-1/4in. Made in USA.